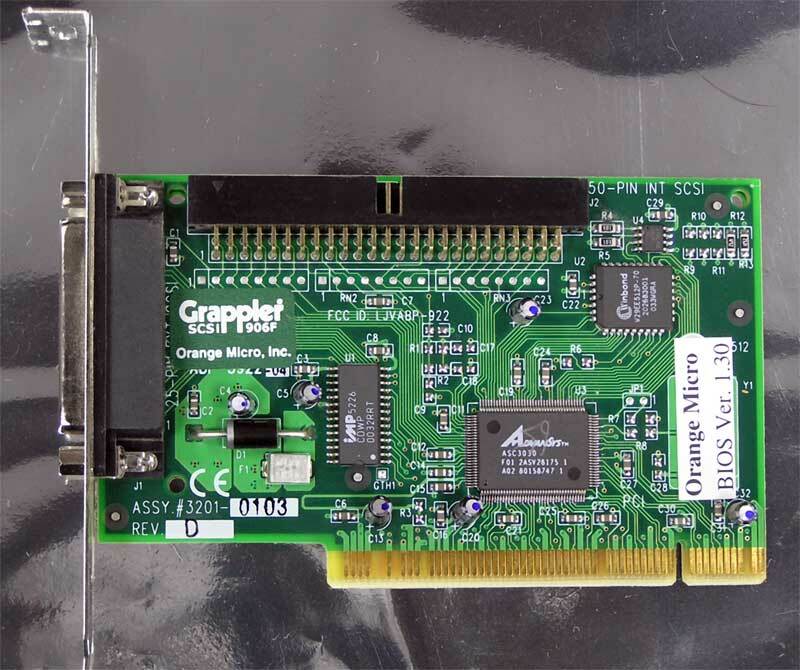 Add Fast SCSI or SCSI-2 to your G3 or G4 PowerMac with this Orange Micro Grappler SCSI, Model 906F. 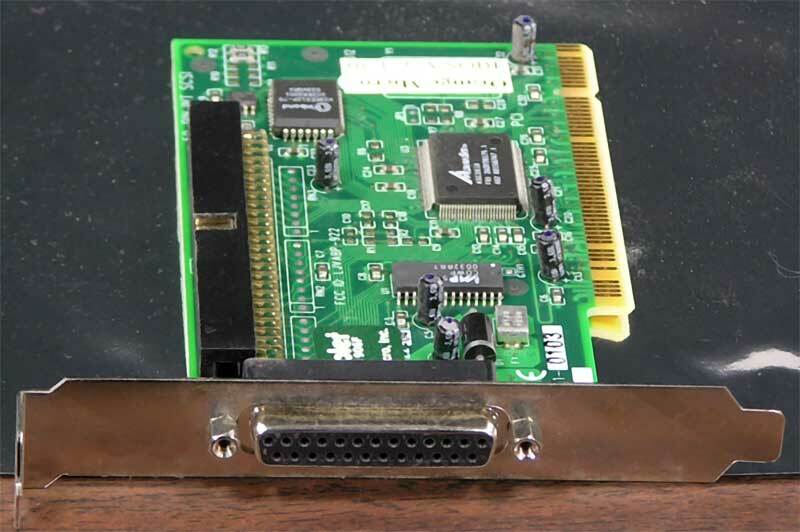 Install in a PCI expansion port and it gives you one internal 50 pin port and one external 25 pin port. Add a SCSI drive inside or use for an external Zip/Jaz drive, hard drive, scanner, CD/DVD drive and more. Available in several lengths, most common is less than 2 feet. 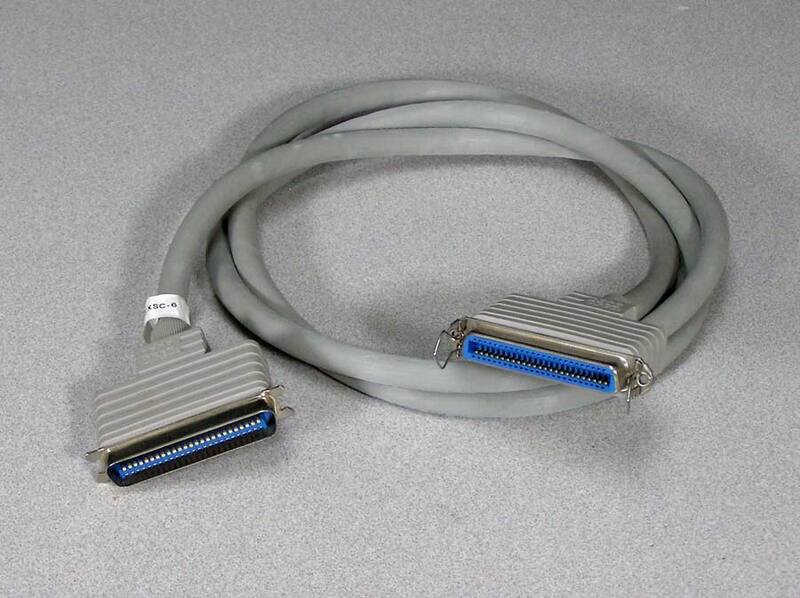 Also available are Centronics 50 M/M for chaining SCSI devices, and an extension cable – Centronics 50 M/F to extend your length. From a variety of manufactures, colors can be white, gray or beige. 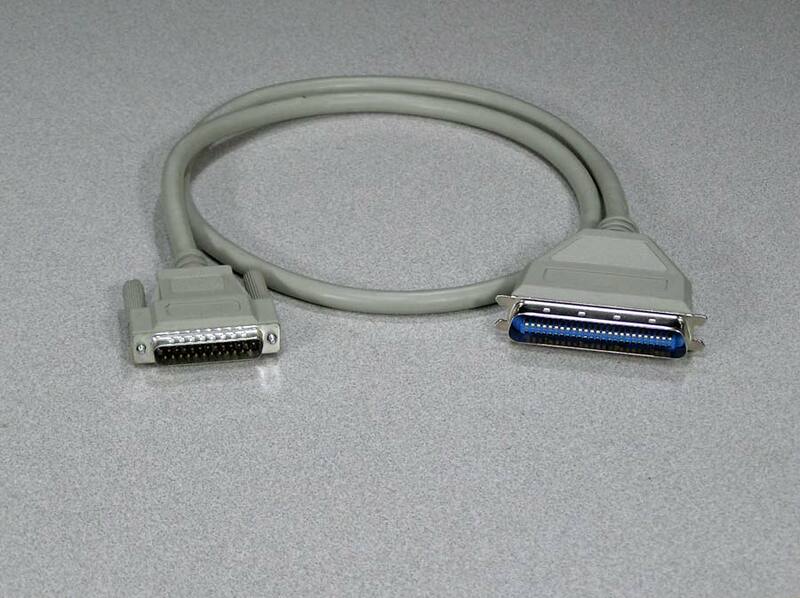 This cable is used for SCSI applications. Common uses are with hard drives and Zip drives and scanners. Connections are DB-25 male on both ends. Extension cable is DB-25 male to female. 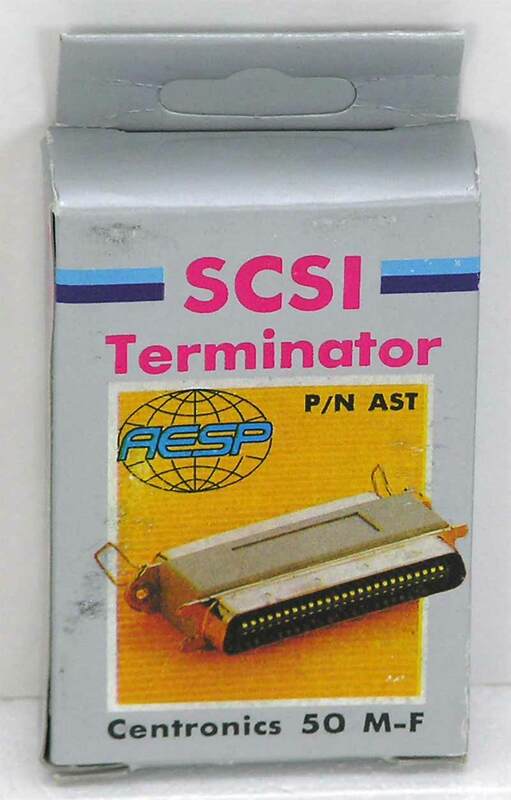 SCSI pass-through terminator. 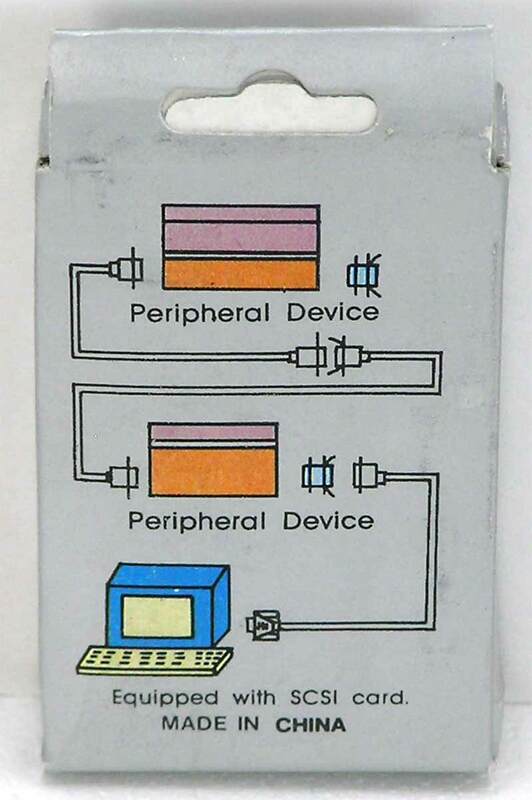 For use with SCSI or SCSI-1 hard drives. 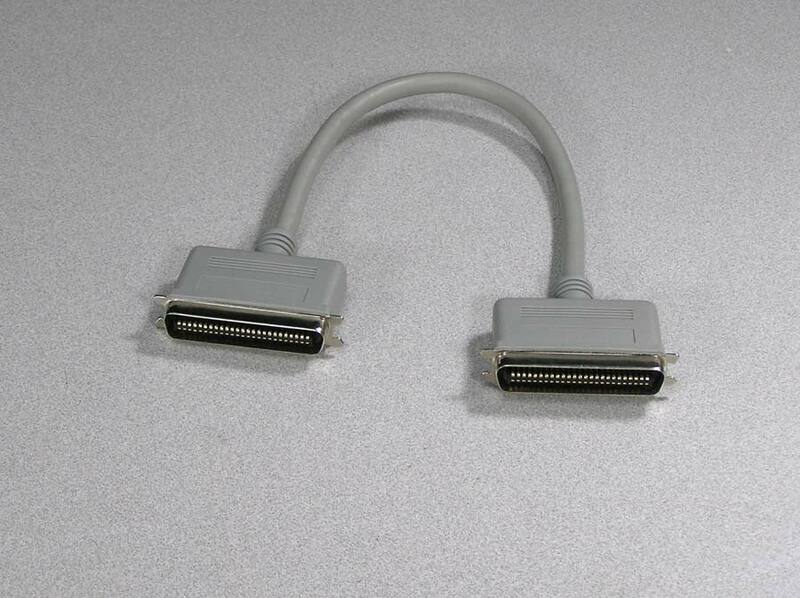 Centronics 50 pin Male to female. This is brand new!